Our Red Kidney Beans, are organically cultivated under hygienic conditions, and have a high percentage of carbohydrates (20-25%). The company has installed all the in-house facility wherein we maintain a large stock for meeting quick and massive requirements of the clients. 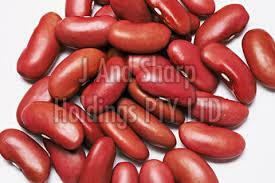 With due assistance and knowledge of diligent professionals, we are capable of making available Kidney Beans in the nationwide market.